As the music video for the album What Are You Singing? finishes playing at the 2016 Red Dot Design Awards ceremony, the audience erupts. Preparing to take the stage and accept an award for the video, Chu ­Chien-chih, leader of Taiwan Smile Folksong Group, is puzzled: “No one in the audience is from Taiwan, and the whole video is in Taiwanese…. Did they somehow understand it?” To be sure, the vast majority of the audience understood none of the language, but the video’s combination of Taiwanese traditional chant-song and 21st-century creativity nonetheless earned one of the highest tokens of global recognition, a Best of the Best Red Dot Award in Communication Design. Taiwanese culture had once again surprised the world. Chant-song (liam-kua in Taiwanese) is a traditional performing art with some three centuries of history. In the old days, it was common to see performers at temple or folk events, sitting on stools in the shade of trees holding their instruments and singing, heralding a good time to come. Such songs are a traditional storytelling form. 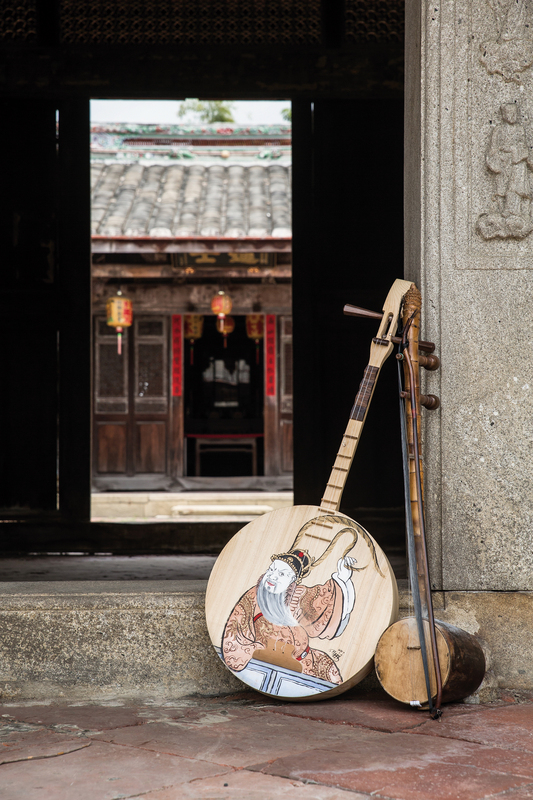 In the past the performers were soloists, but in the modern age it’s more common to see duos, one on the da­guang­xian (a bowed, bass stringed instrument) and the other on the yue­qin (a larger, lute-like instrument). 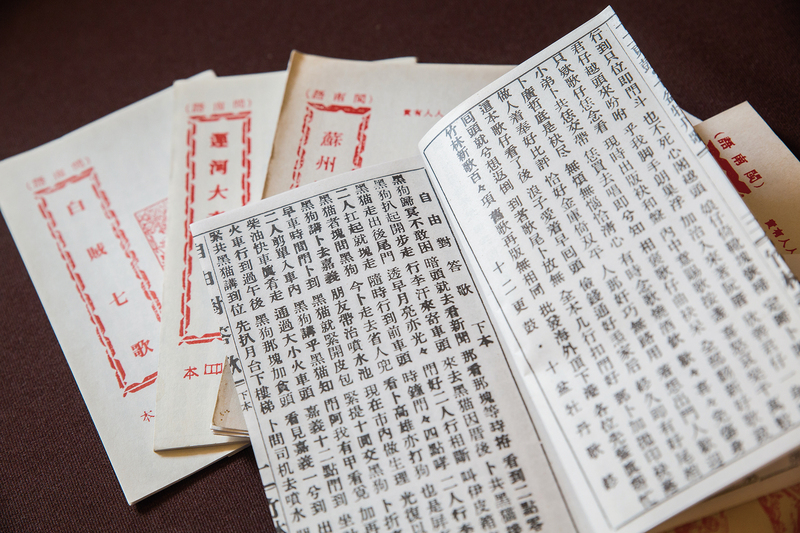 The songs tend to tell tales of loyalty and honor, generally in Taiwanese, constructed in a traditional form comprising four lines per stanza, seven characters per line. In the days before television was popular, such songs were an important source of entertainment for the ordinary folk. However, under the onslaught of television and the decline in the use of the Taiwanese language among the younger generations, the old masters began to fall away, leaving the art on the verge of extinction. 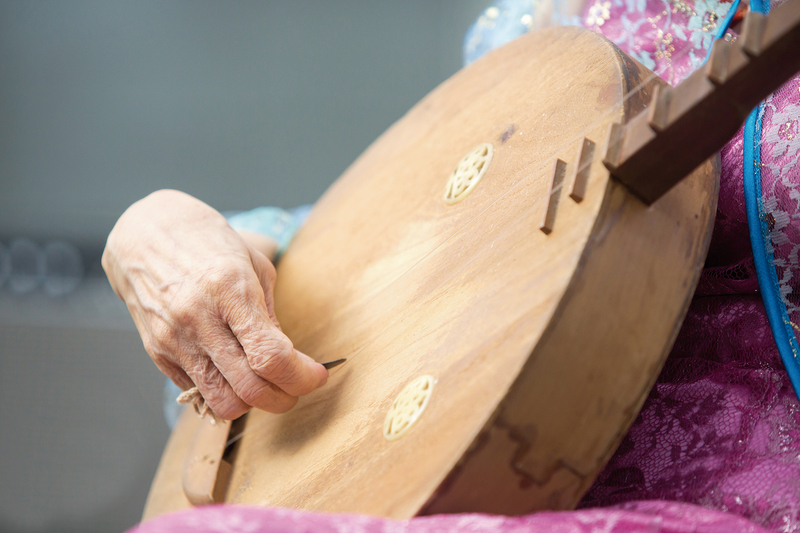 Despite her 83 years, chant-song artist Yang Xiu­qing is as energetic as ever. She started her singing journey at age 13 and went on to create her own “vernacular opera” style, eventually being named an “Important Preserver of Traditional Chant-song Art” by the Council for Cultural Affairs (now the Ministry of Culture) in 2009, in celebration of her efforts since the 1980s to preserve chant-song culture. 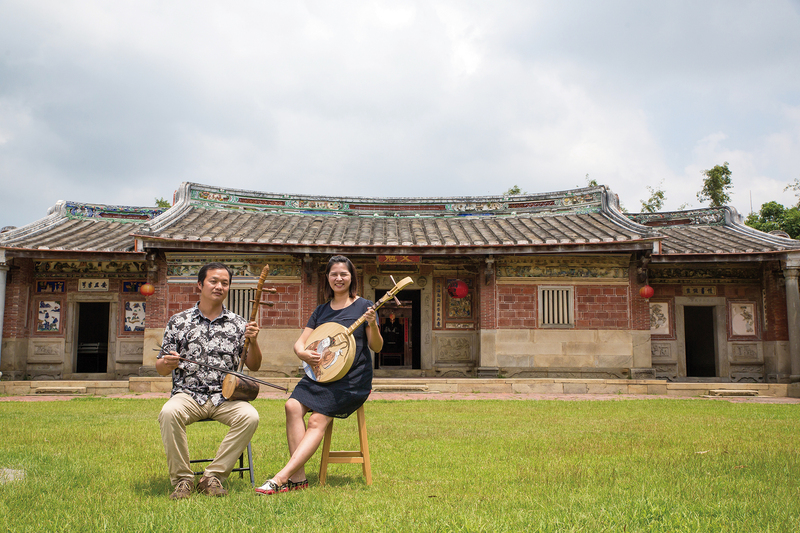 Chu ­Chien-chih and Lim Tien-an, now both of Taiwan Smile Folksong Group, are two of her apprentices. Despite their relatively late-in-life start, the pair have been able not only to keep the art alive, but also to inject new ideas and blaze a new trail for this traditional form. Chu, who plays the da­guang­xian, and Lim, the yue­qin player, have only been Yang’s apprentices for some six or seven years, but each brought with them a strong background in music, Chu coming from traditional theater and Lim being a student of traditional Chinese music. Partnering up and taking on their respective instruments, they set to work studying chant-song. Neither of the two had heard chant-song before eventually buying one of Yang’s early recordings. “I’d never heard of Yang Xiu­qing before, but I was immediately struck by the power and vibrancy of the music,” says Chu. After they began listening and learning more, they ended up getting to meet Yang and formally becoming her students. As students of Yang, Chu and Lim’s main tasks have involved not only learning chant-song from her, but also, more importantly, promoting the art form. A few years ago, they applied for funding from the Ministry of Culture to perform at major temple events around Taiwan, but in the middle of their “tour,” they found themselves performing to an audience of one old man. Despite that, they continued. 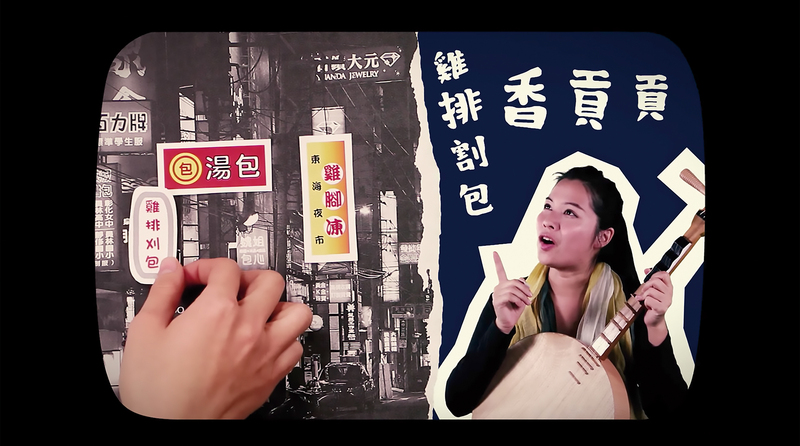 To help expose more people to chant-song, Taiwan Smile has reached out to other bands and groups for cooperative efforts, hoping that through such crossover exchanges, they’ll be able to cultivate a new audience of chant-song lovers and keep the art alive. In 2014, Miszform Project—made up of jazz musicians from Germany, America, Italy, Slovakia, and Taiwan—sought out Chu, hoping for his help in presenting Taiwanese musical concepts in a jazz style. After a summer’s cooperation, the group performed a jazz version of “Song of Exhortation,” putting a cap on an interesting experiment. Over the following years, such crossover performances have grown in number. 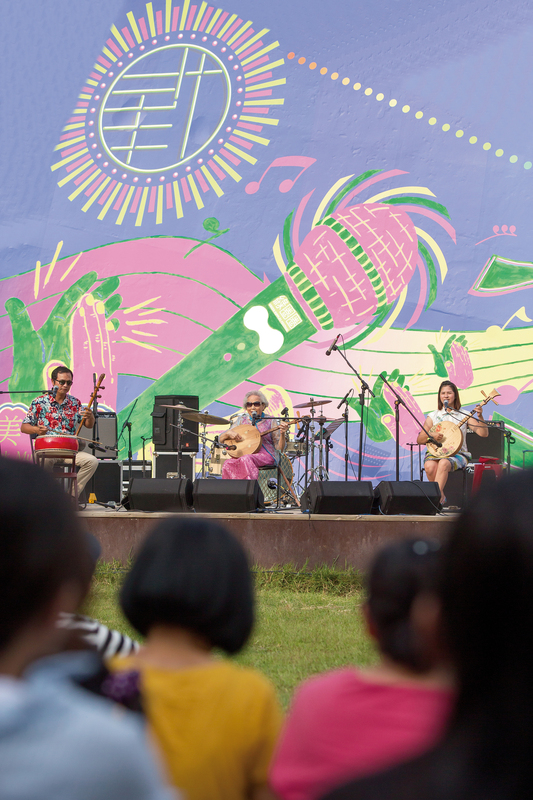 In 2017, Yang and Taiwan Smile were invited to perform at independent music festival Megaport, adding traditional art to the festival’s modern rock and driving the crowd wild. After the performance, Chu received a big response and a number of invitations for cooperative ventures, with many saying that the distinctively Taiwanese flavor of chant-song culture was exactly what they’d been looking for. In addition to its authentic Taiwanese flavor, another enticing aspect of chant-song is its improvisational nature. Such talent is the fruit of endless experience with performing. In the past, chant-singers would use their stories to draw crowds, taking the opportunity to then also pitch their wares, with medicine being the most common. This form of the art has also aroused the curiosity of the younger generation. For example, for their graduation project, National Yun­lin University of Science and Technology (­YunTech) students of visual communication design ­Huang Yu Qian, ­Chang Fang Rong, and Wang Bo Ren wanted to do something “Taiwanese,” and they sought out Chu. Taiwan Smile had long been thinking of publishing an album of chant-song and producing a video to go with it. These ­YunTech students brought a powerful visual design to the resulting video. Building on the traditional tale “Prince Ne­zha’s Triumph Against the Dragon King,” the team added a heaping helping of modern matters; for example, during Ne­zha’s 42-month gestation, his mother gets a consultation with well-known doctor and current Tai­pei mayor Ko Wen-je. Each scene in the music video is shot in stop motion, with handwritten lyrics, paper cutouts, and collages all used to create a vibrant atmosphere and make traditional chant-song a little more appealing to modern audiences. According to Chu, though, the biggest challenge for the ­YunTech students was the improvisational nature of chant-song. Each and every shot in the video was planned, designed, and timed to fit the lyrics with essentially no wiggle room. Ahead of time, Chu discussed the story and script with Yang, but nonetheless, every time Yang stepped into the booth, the song she performed would be slightly different, ultimately even having an impact on the visual design side of the production. In the end, though, this inspired creative fusion of old and new went on to earn recognition at the Red Dot Awards and help another of Taiwan’s intangible cultural assets, chant-song, make a splash on the world stage. It is 4 p.m. on a mid-August day, and the fierce heat of the midday sun has passed. On the grass outside Taichung’s CMP Block Museum of Arts a crowd of people has gathered, some standing, some sitting. On stage, Yang Xiu­qing starts up with her well-known catchphrase, “Wanna hear a 98-year-old lady sing?” which raises a cheer from the crowd. Taiwan Smile’s Chu ­Chien-chih and Lim Tien-an sit on either side of their teacher, with the former reminding the audience that it’s a good time to clap during the interludes. The entertaining performance draws peals of laughter from the audience, and the air reverberates with the sound of traditional music as the performers tell the tragic tale of the “Butterfly Lovers” ­Liang ­Shanbo and Zhu Ying­tai. As another song launches off with the words “Let me sing you a tale,” we can only hope that such tales will continue to have a long and healthy life in Taiwan.